Discussion in 'For The Attention Of' started by jam'e'tron, Aug 6, 2009. A night dedicated to showcasing local dj talent from the newcastle dance scene. so whether your somebody whos already gigging at various events around newcastle or your a bedroom dj who hasn't had a chance to play in a club infront of a crowd this event is for you. 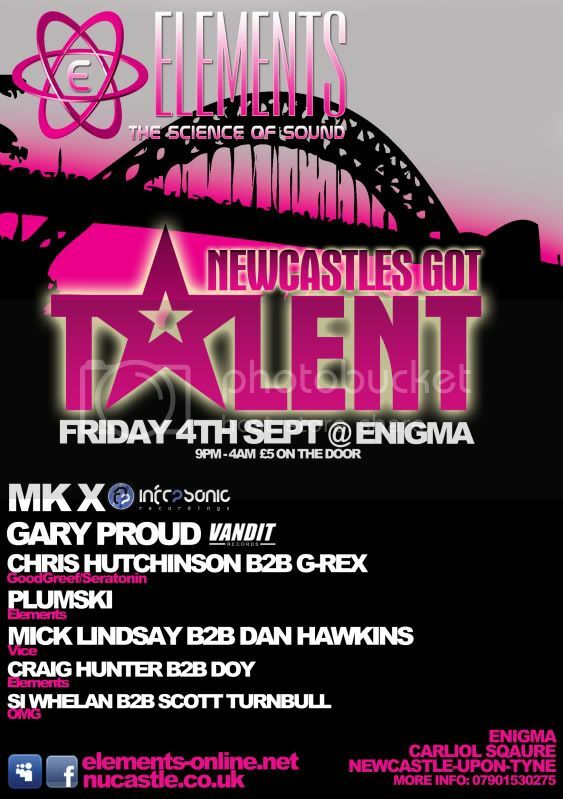 if you or anybody you know are intrested in playing at one of our future events just come down to our launch night @ Enigma (Carliol Square Newcastle upon-tyne) friday 4th september and bring a demo mix. obviously people who take time out to come down with a demo and support the event stand better chance of being considered for future lineups rather than just sending links to mixes through nucastle board or facebook. "some random crusty jumped on the roof and started shouting 'E's, trips, see bright lights and pretty colours' as we drove through the masses of people"